In previous years, when it submitted the latest draft budget to the Duma for consideration, the government repeatedly emphasized its social focus: it was all about people, they would say. Now, as the 2016 budget is being worked out, the authorities prefer not to think about this. Spending on the most people-focused items—education and health care—will be significantly reduced. Despite annual inflation’s soaring to nearly 16%, public sector wages will not be indexed at all, while old-age pensions will be indexed only by 4%. 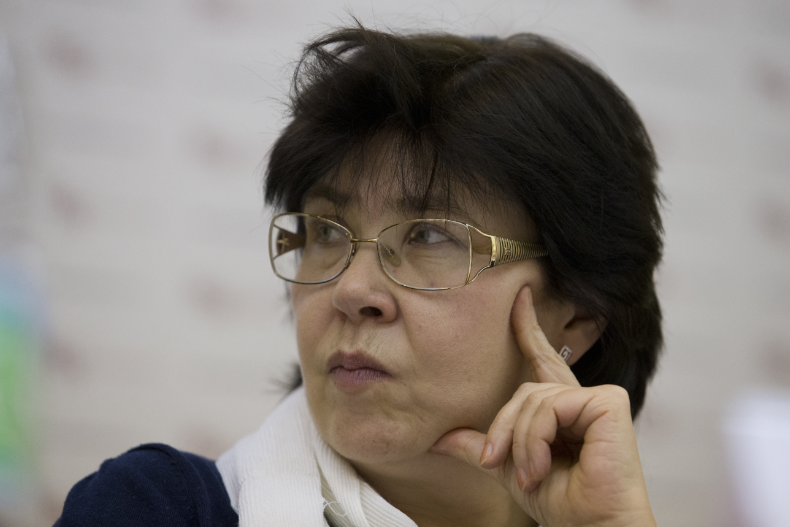 Tatyana Maleva, director of the Institute of Social Analysis and Forecasting at the Russian Academy of National Economy and Public Administration (RANEPA) told us how the social sector would cope with all these blows. Based on your analysis of the projections for the 2016 budget now being submitted to the Duma, which of the social sector issues do you see as most acute? Those caused by the insufficient indexation of old-age pensions. The government has chosen the most economical solution to this problem. A 4% indexation does not correlate at all with the expected outlook for inflation. Thus, the budget risks reducing the real value of pensions. The acuteness of the problem is amplified by the fact that, if we look at the history of incomes in post-reform Russia over the past twenty-five years, we see that pensions have fallen lower than all other sources of income such as wages and benefits. Only in 2010, thanks to the valorization of pension rights [a one-time increase in the monetary value of the pension rights of citizens with time in employment before 2002 – Y.A.] and pulling the minimum pension up to the subsistence level, we pushed the real value of pensions to where it had been at the outset of reforms in the nineties. It had taken twenty years to restore the purchasing power of pensions. But now, during a crisis, they are being demolished again by the budget under consideration. This is a big mistake by the authorities. But why? After all, budget cuts are not the government’s whim, but hard necessity dictated by the economic crisis. As events of the last two years have shown, there are basically only two kinds of resources in this country, oil and people. The price of oil has collapsed, but the people are still here. It is people who are, in fact, the most reliable of all resources. Sooner or later, investment in people produces economic growth. Oil, on the contrary, is impacted by circumstances unconnected with the Russian economy; we cannot influence the market price of oil. It turns out that one key resource makes us hostage to the situation, while we are voluntarily refusing to support the other resource. So I would argue that during the crisis we should look for ways to support people and even risk a larger budget deficit if necessary. Most economists, including me, are forecasting a long crisis. It is only beginning, and demolishing people’s real incomes right at the outset of the crisis is fundamentally wrong. How painful will the decision to partially index pensions be? The government thinks that indexing pensions by 4% will affect only the 38 million pensioners. This is misleading. Models of consumption and survival are based not on individual strategies, but on the strategies of households, meaning families. Around 40– 45% of Russian families include pensioners. The experience of the nineties tells us that even miserly pensions, when they were paid, served as a safety cushion against poverty in families when their younger member lost their jobs or faced nonpayment of wages. Because, in this case, pensions support the household’s minimum consumer budget and act as social insurance. Consequently, the forthcoming partial indexation of pensions will reduce the budgets of 40–45% of Russian households. Meaning that the real impact of this decision will be the growing risk of poverty not among pensioners but among nearly half the country’s population. The government contends that real incomes have fallen by 2–3%, and real wages by 9–10%. Do you agree with these figures? At one time, incomes showed a more moderate decline, but now they are rushing [downwards] hot on the heels of wages. Because the factors that were propping up incomes, including pensions, have ceased functioning, and incomes are going to fall, maybe even lower than wages. Over the last year, we have experienced a huge reduction in incomes. Basically, the entire growth they had achieved over the previous three or four years has imploded. And there is no reason to expect the growth will be restored. The decline might simply slow down due to arithmetic: the base for comparison will decrease from month to month, and therefore the rate of decline in real wages may turn out to be 7–8%, not 9–10%. But this does not alter the fact the population’s income is likely to be reduced. How hard is inflation hitting people’s wallets? Apparently, by year’s end we will be seeing 13–15% inflation. It is inflation that has a total effect on all incomes by devaluing them, regardless of social classes and age groups. But the risks that emerge among different social group because of high inflation are different. For examples, employees face the risk of job losses and cuts in nominal wages. This is already happening. We see cuts in benefits, reductions in allowances, and the axing of bonuses around the country. Moreover, while individuals are capable of combating other causes of income reduction such as job loss or reduction in wages by looking for a new job or retraining, they can do nothing to withstand inflation. The number of poor people in Russia increased sharply over the past year—by three million people. Are the authorities capable of dealing with this scourge, or does everyone just have to wait for a rise in oil prices? It is appropriate to recall how poverty has evolved in Russia. In the nineties, over 30% of the population was poor, but this was shallow poverty. When economic growth began in the nineties, poverty was significantly reduced. Many poor Russians moved into the so-called sub-middle class, rather than sinking into outright poverty. Economic growth reduced poverty levels relatively easily all by itself, without a restructuring of social benefits, without support for various social groups. But as soon as the country shifted from growth to recession, this seemingly happy trajectory turned into a disaster for us. Since, during the “fat” years, a reasonable system of targeted social support for the poor was not established, we are now reaping the consequences of its lack. Very many types of social support were eliminated in 2015, and certain “visionary” regions gutted many social benefits as far back as late 2014. Therefore, poverty will grow, and in this sense, indeed, the only hope is a hypothetical rise in the price of oil. If the price goes up, there will be more money in the budget, and maybe benefits will return. But I am not so certain of this. It is absolutely not a fact that federal revenues are converted into institutions of social support. I think that in this case there will be a serious struggle with a high probability of the social sector’s losing to the military-industrial complex. The country made this choice long ago, and it is clearly not going to be revisited. The official unemployment rate in Russia has not exceeded 6%, which is quite a favorable figure by international standards. At the same time, there is lot of evidence that hidden unemployment has grown. What is your overall assessment of the employment sector? Indeed, 6% is not a high figure at all. Actually, a low unemployment rate has been traditional in Russia in all phases of the economic cycle, whether the economy has been in growth, crisis, boom or recession. Over the quarter century that Russia has been living in the market economy, it has not really experienced unemployment. But economic laws still apply, and during crises, pressure on the market increases. Ultimately, the market extends possibilities for part-time employment, and this can be interpreted as hidden unemployment. People are willing to work a full workweek, but employers offer them part-time work, either half a day or two or three days a week. The labor market has formed a kind of social contract under which employers save on costs by not dismissing employees, because the Labor Code forces them to bear exorbitant costs when letting employees go. Employees remain employed, which gives them the chance to earn seniority. And the state pretends not to notice any of this, because it also has a stake in the situation. It saves on unemployment benefits and thereby reduces its financial obligations. Overall, how has the current economic crisis aggravated social problems in the country? Are there factors capable of causing society to protest and take political action? It is not just the matter of the crisis. Long-term factors are also capable of impacting the social sector. Even during phases of economic growth, many social processes in Russia were not entirely favorable. Take demographics: the long-term trend has been determined by previous generations, and it cannot be changed. Nothing can be done about the fact that each successive generation in Russia will be smaller than the previous generation. Furthermore, if we look at a longer trend, we have to admit that wages and other types of income have fallen undeservedly much lower than GDP has sunk. This has predetermined very many processes in the economy. Low-wage labor and a low-income population cannot be effective. We have repeatedly been taught this lesson over the last twenty-five years. Coming to terms now with a drop in incomes and wages means recognizing the inefficiency of our human resources. Yes, of course, no one gets rich during a crisis. But it is not a worsening of social tensions in the country due to a sharp collapse in incomes that we should be afraid of. We should be afraid of social apathy, of the population’s withdrawing into itself and washing its hands of the situation. From the socioeconomic viewpoint, this is a step backwards. This apathy can hold us back for many decades. And even if drivers of economic growth do emerge in Russia, and we expect that people will respond quickly, this might not happen. But what is the source of this apathy? In the nineties, the population really lent a helping hand to economic reforms by a creating a strong platform for the informal economy. Everyone predicted that society would explode, but it did not happen. The population thus gave an advance to the government that was carrying out reforms. The country managed to make this incredibly difficult transition from one type of economy to another. The people’s patience was rewarded. We are seemingly now in the same situation. However, our vector is pointing down, not up. The current patience of Russians might pull the country down. The population has not been integrated into this economy; it has not become its subject. It has elaborated its own behavioral trajectories, tactics, and strategies, which do not correspond in any way to state policy. The state and the populace lead separate lives. Are you not idealizing the nineties? After all, even now, during a crisis, people’s living standards and incomes are much higher than they were then. What saved people from hunger and many people from death in the nineties? First, grassroots unorganized trading, whose symbol was the famous shuttle traders. A huge informal trading sector was formed, flea markets emerged, and so on. But this sector ultimately disappeared, losing out to powerful commercial chains. Second, a powerful sector of private household plots formed in small towns and villages in the nineties. Even if they provided no cash income, people lived off the land. During the years of economic growth, this sector has turned into dacha villages with lawns, and has also ceased to exist as a source of subsistence for households. Third, a small business sector took shape in some form, albeit a specific form with many negative traits. Nevertheless, there was entrepreneurial freedom. Now, all attempts to get small business on its feet have led to nothing. The administrative obstacles erected in recent years have shut the door to the big economy for small business. Fourth, by the early noughties, a small but noticeable nonprofit and NGO sector had been established in Russia. Now, many of these organizations have been labeled “foreign agents.” Formally, [many of] the NGOs continue to operate, but they do not have the ability to act freely as they see fit. These are the four legs that have been sawed off the Russian market economy stool, and it will not be able to stand up without them. The set of factors that prevented social catastrophe in the nineties is no longer functioning. Maybe other mechanisms will be developed, but so far I do not see them. So everything is going to depend on the speed, depth, and duration of the crisis. But if we proceed from the most probable assumption, that the crisis will shift into a protracted, sticky recession, the quality of services will fall, despite the fact that, purely superficially, universities, schools, and clinics will continue to function. We do not know yet how the population will respond economically to these challenges. It has very few options. In fact, its only option is to wait for mercy from the state. People have been prevented from taking care of themselves. Translated by the Russian Reader. Thanks to Ilya Matveev for the suggestion.